Check out our "Upcoming Events" page, right column, past speakers to listen to retired DC Police Sergeant Paul Leeper's account of his teams' arrest of the Watergate burglars (in 2 parts) or Security Storage's Conrad Reid recount his experiences Moving the First Families. On a sad note, Conrad Reid died July 24, 2015 at the age of 80. Also, we have begun placing our monthly luncheon programs and speakers on our "Luncheon Audio" page. ​The Centennial of World War I - see articles below and click here to link to our page of WWI memorials, programs and events. Call to Action Results in Success! ​Our combined efforts to save the Smithsonian's Enid Haupt Gardens have paid off! After providing testimony before the District's Historic Preservation Review Board on April 27, 2017, together with the Committee of 100's application for Historic Designation authors Richard Longstreth and Peter Sefton, Preservation League's Rebecca Miller and others the HPRB approved the application for Historic Designation unanimously. This is the first time in all of my years of testifying on any matter before any board, commission or Council that the initiative that we supported was approved on-the-spot. A big "Thank You" to everyone who weighed in on this. The Tanner Memorial Amphitheatre at Arlington National Cemetery. Each Decoration Day (May 30th) the Sons of Union Veterans of the Civil War conduct a program at the old amphitheater adjacent to the Tomb of the Union Civil War Unknowns at Arlington National Cemetery. Listen to AOI President Bill Brown's remarks as he recounts for those present the service of Alexander Shepherd during the Civil War at the 2013 ceremony. Click here. 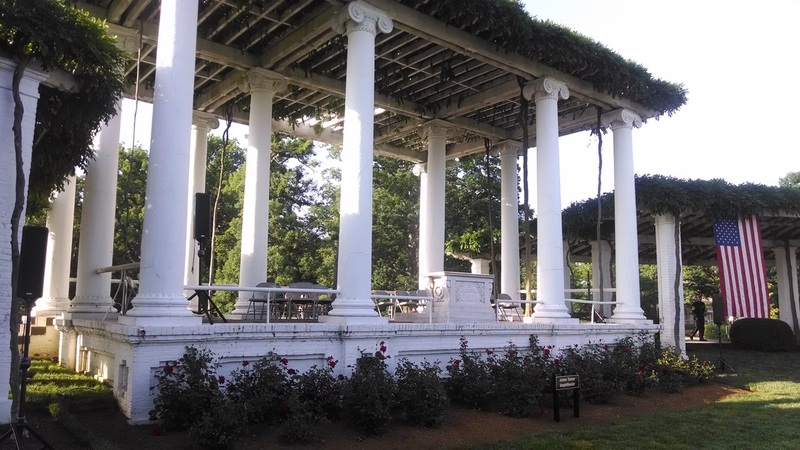 The 2014 Decoration Day ceremony rededicated the Old Amphitheater at Arlington National Cemetery as the Corporal James Tanner Memorial Amphitheater and Bill Brown's remarks provide an historic perspective of the sesquicentennial of the Battle of Fort Stevens. Click here. 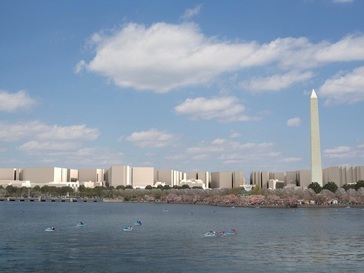 A rendering of what the Washington, D.C. skyline might look like with changes to the Building Height Act. 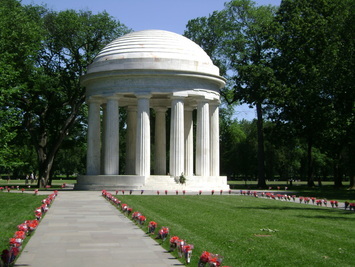 The District of Columbia War Memorial (WWI) after restoration and adorned with 499 bouquets of poppies placed by the National Memorial Day Foundation. (The foundation ceased placing flowers at war memorials on the National Mall in 2015 due to "difficulties regarding security issues." 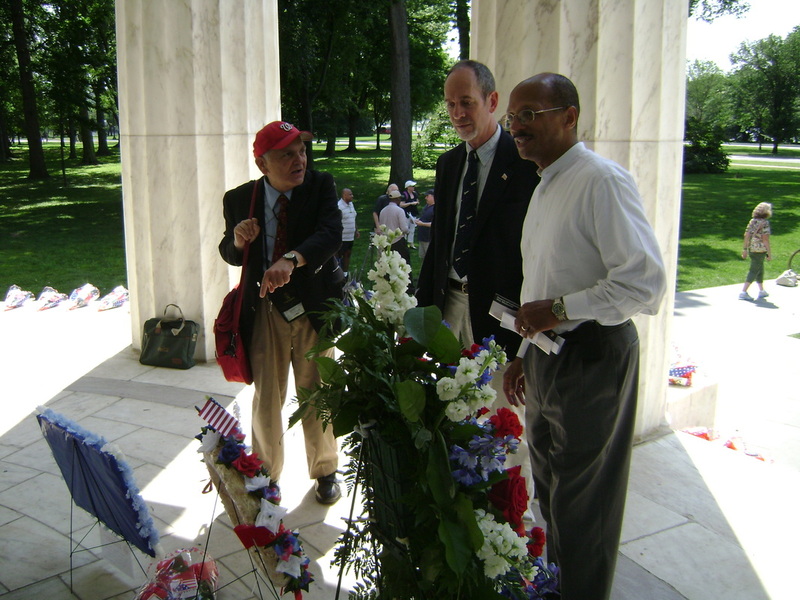 AOI member Joe Grano (deceased), President Bill Brown & Historian Carroll Gibbs on Memorial Day 2013. 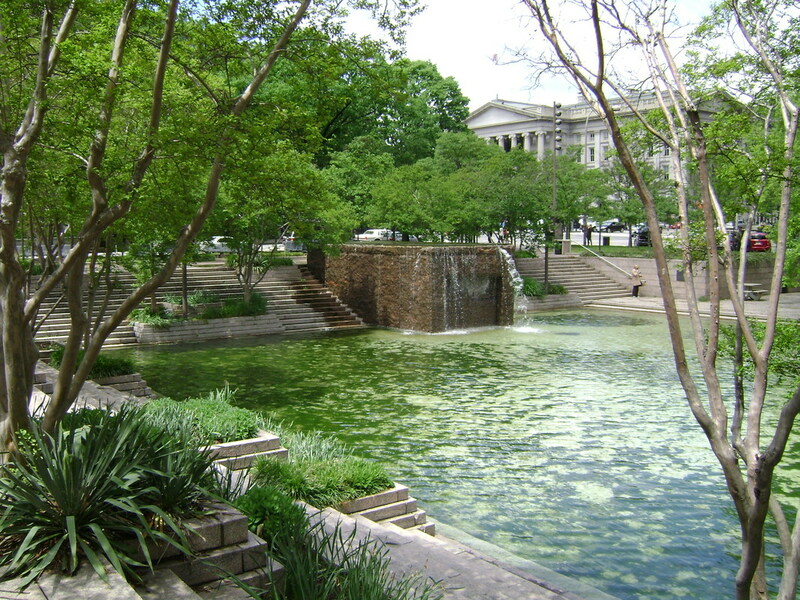 Pershing Park (as it was in 2011) was not rehabilitated in time for the centennial of Armistice that ended World War I on November 11, 2018. ​AOI Director Barbara Bates has completed her comprehensive paper, "The Emergence of American Air Power in World War I." Read about Americans' early forays into air combat and the stories of the heroes who served and perished. ​"The Emergence of American Air Power in World War I"
​Barbara has also completed her, "The Ten Women on the District of Columbia War Memorial or Tree Memorial." It is available, upon request, in printed form OR you can down-load and view it her. Please, if you enjoy it, use our "Contact Us" page to send Barbara a note of 'thanks' for her hours of hard work. NEW! Barbara Bates has completed her comprehensive compendium "Remembering the Great War in Washington, DC Through its Memorials and Monuments." 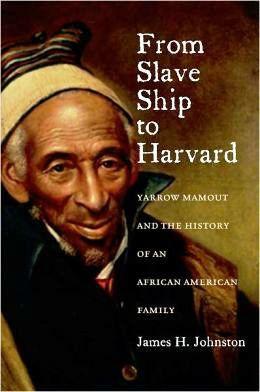 Read it now! ​NEW! We have added a Virtual Visit to the DC War Memorial which allows you to view all of the panels containing the names of all 499 District of Columbia residents who are memorialized there. NEW! Barbara Bates has compiled another document detailing the DC war dead who appear on both the DC War Memorial and other local memorials. The Names of the Veterans on the District of Columbia War Memorial also has been compiled based upon an up-dated, verified list (engraved names compared to AOI's spreadsheet) of all 499 engraved on the memorial. NEW! 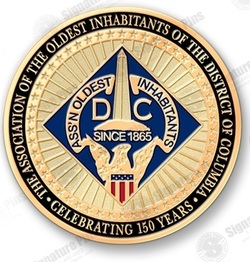 Barbara Bates has also compiled a listing of all of the District's WWI dead who are either interred or commemorated in overseas cemeteries maintained by the American Battle Monuments Commission on ABMC and the DC War Memorial. ​Also, at the Library of Congress: “World War I, American Artists View the Great War” remains on view in the Jefferson Building ground floor graphics gallery through May 6. To see what our neighbors in Arlington, Virginia are doing, click here: WWI Commemoration Task Force. The AOI's and the D.C. National Guard's joint observance of the centennial of the Armistice on November 11, 2o18 was a resounding success. While we take steps to consolidate and archive our efforts to commemorate the centennial of World War I and await a video of the event's proceedings, here is a slide show of some of photos taken by event participants and shared with us. Please note: Some of the events listed on AOI's WWI compilation page may have already occurred or are no longer available; however, we have decided to leave them posted to demonstrate the breadth and scope of interest in this important period of our history. 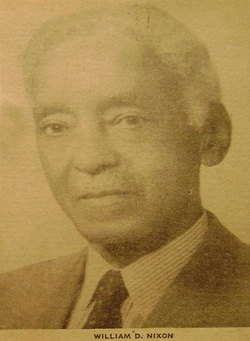 William D. Nixon served as President of the Oldest Inhabitants, Incorporated (formerly AOI - Colored, Incorporated) from 1942 until 1962. ​Of particular note are the remarkable developments on the AOI's quest for the location of the records of the AOI (Colored), Inc. AOI Seeks Members and Records of AOI Colored, Inc., first publicized in 2010 by John Kelly in "Gathering of Segregated 'Old Timers' Group a Mystery" and his Feb. 2012 follow-up story "A Snapshot of D.C.'s Segregated Past Comes to Light in a Roundabout Way" detailing this story of curiosity, persistence and serendipity. A link to the Moorland-Spingarn Library's Manuscript Collection can be viewed here. The USG Dunbar statue of Governor Alexander Robey Shepherd... restored, lighted and embellished with a biographical plaque. ​Watch John Richardson's brief video account of Shepherd's accomplishments documented in his new biography featured in a WETA-TV feature. A written review can be read as part of WETA's "Boundary Stones" Washington History Blog. The ​Washington Post's​ John Kelly has written a great account of John's 30-year effort to document the life of Alexander Robey Shepherd in his "DC's street-paving whirlwind to Mexican adventurer." 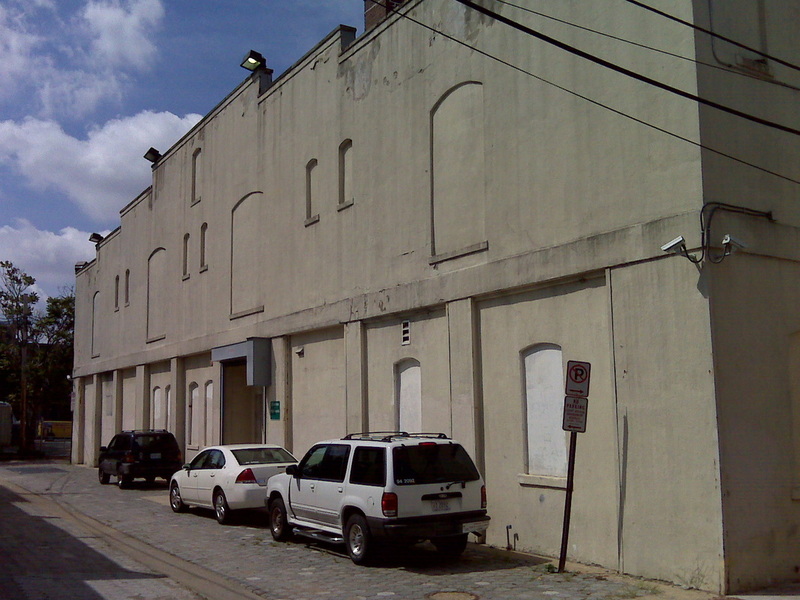 The former horse stables on Naylor Court, NW that serve as the District of Columbia's archives. 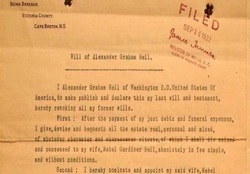 The will of Alexander Graham Bell is one of many historical documents preserved at the D.C. Archives. 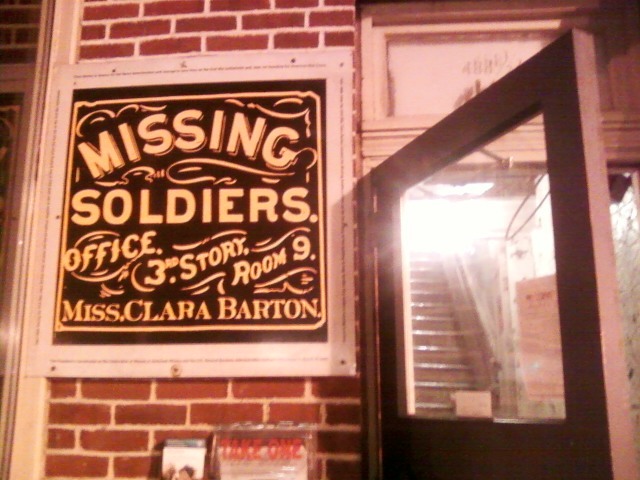 The 7th Street entrance to the upstairs offices of Clara Barton's Missing Soldiers Office. ​Friends of Clara Barton's Missing Soldiers Office has been established. The GSA, the Friends of Clara Barton's Missing Soldiers Office and the National Museum of Civil War Medicine announced their plans for opening and operating a museum at an event on April 12, 2012, the centennial of Ms. Barton's death. You can be kept informed of their activities by joining (no donation/fees required) the Friends. Read more here: Friends Of Clara Barton's Missing Soldiers Office Info Flyer OR Fill Out a NMCWM Volunteer Form - Clara Barton and apply to become a volunteer at the new facility. Watch CSpan's 5 minute documentary featuring AOI member Richard Lyons and his discovery of Clara Barton's Missing Soldiers Office. ​Listen to Kenneth Burke's talk on Clara Barton from AOI's Oct. 20, 2017 luncheon. Follow us on Facebook for up-coming events or current topics. 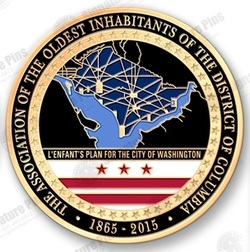 Also, drop us an email regarding your interests or, perhaps, your family's connection to the AOI of DC. This site was last modified on April 21, 2019.